GREG Slaughter has been cleared by world basketball body Fiba to play for the Philippines as a local, a big boost to the national team ahead of the second round of the World Cup Asian qualifiers. The soft-spoken Ginebra big man couldn't contain his excitement as he broke the news on Twitter on Saturday, posting: "I just found out Fiba has approved my eligibility as a local! Couldn't be happier about this." The development was soon confirmed by a letter from Fiba's all-powerful secretary-general Patrick Baumann to Samahang Basketbol ng Pilipinas (SBP) executive director Sonny Barrios. 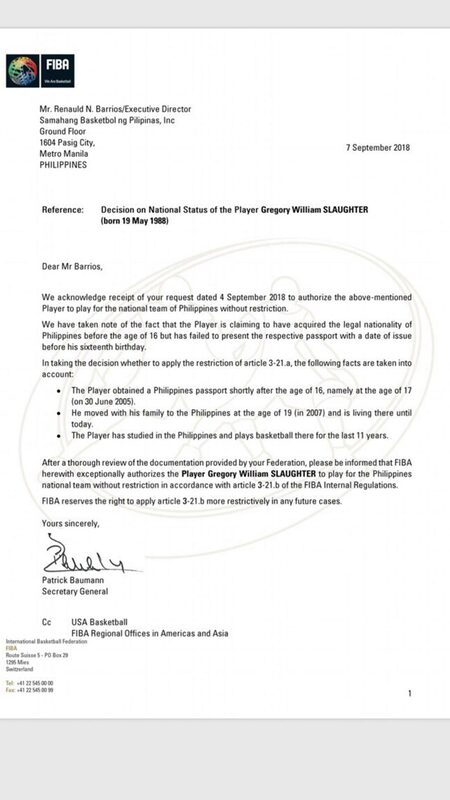 "After a thorough review of the documentation by (the SBP), Fiba exceptionally authorizes Gregory William Slaughter to play for the Philippine national team without restriction," the letter read. Slaughter's clearance comes as a welcome development for Team Pilipinas, which now gets to pack its frontline with a seven-footer ahead of the match away to Hamed Haddadi and Iran in Tehran next week. The green light also allows national coach Yeng Guiao to pick either Christian Standhardinger or Stanley Pringle for the lone naturalized player spot in the team for the Sept. 13 match against Iran and the closed-door home game against Qatar on Sept. 17. But the happiest man of all was Slaughter, who made no secret of his burning desire to play for the national team as a local. "I'm looking forward to beginning a wonderful journey with the national team. Para sa bayan!" said the Ginebra big man. Acting on documents passed by the SBP, Fiba recognized that Slaughter failed to secure his passport before turning 16 - a key prerequisite for dual citizens - but acknowledged that he got his passport at 17 and moved with his family to Cebu at age 19. Fiba granted Slaughter an exception but made it clear that it is "reserving the right to apply the rule more restrictively in future cases." 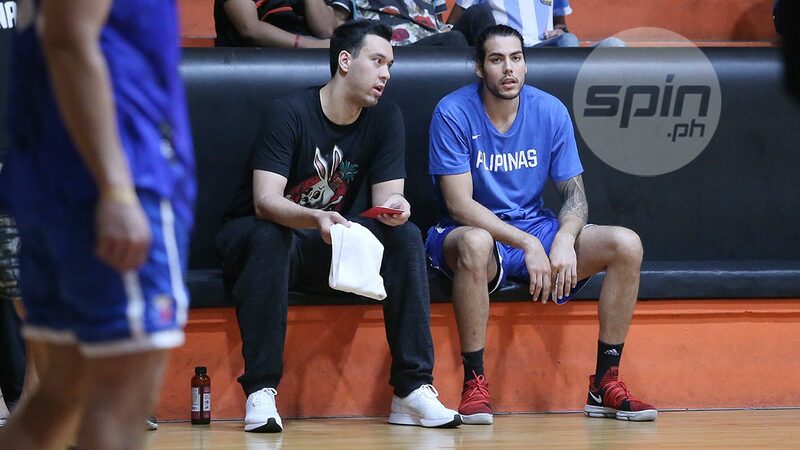 “We are happy to announce to the entire basketball loving Filipinos that SBP’s push to FIBA to prove that Greg Slaughter is a pure Filipino has been recognized," said SBP president Al Panlilio in a statement from Las Vegas.